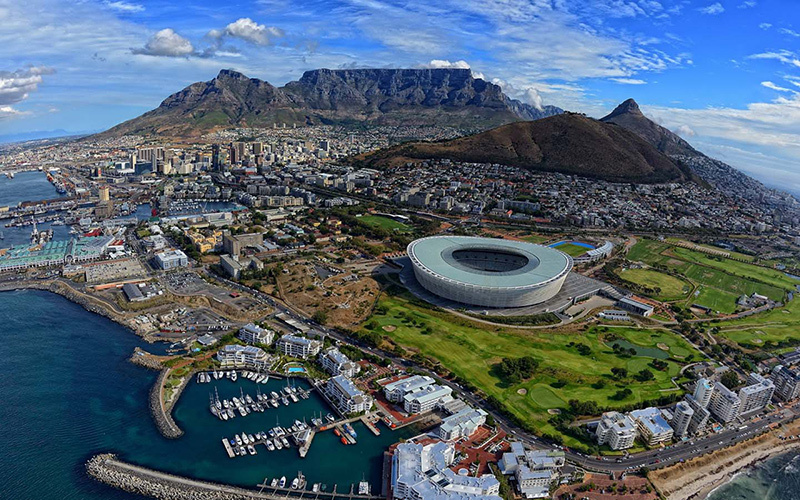 Cape Town International Airport is approximately 20 km from Cape Town’s city centre. From the airport, there are several ways to get to and from the airport. You can hire a car, call an Uber, take a metered taxi, take a bus, or hire a shuttle. The MyCiTi bus runs from 05:30–21:30 daily, and operates between the airport and the Civic Centre, where you can connect to other routes. You need a myconnect card to ride it, which costs R35 and is available from the airport and other MyCiTi stations. Fares to the city are between R60 and R100 depending on the time you ride. Metered taxis are widely available at the airport, and a trip to the city centre will cost between R300 and R400, although fees may vary. Some have flat rates, while others charge by the kilometer. Travel time is about 20 minutes by car to the city centre. It is recommended to make sure you pick up a licensed taxi instead of an unauthorized taxi. Alternatively, Uber operates in Cape Town and a car can be booked online when you arrive at the airport. Cape Town airport is accessible from the N2 freeway with the Airport Approach Road providing a direct link between the N2 (at exit 16) and the airport. Most big car rental companies are represented and can be found just outside the central terminal at the airport. A range of transport options are available to get you wherever you want to be within Cape Town. These include: Integrated Rapid Transport System Cape Town’s sophisticated bus transport system. These shuttles offer efficient and safe public transport across the city. 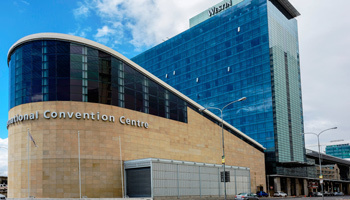 The CTICC is conveniently located on one of the MyCiti routes, which runs from the airport to the city. Metered taxis, luxury air-conditioned coaches, and shuttle buses regularly run between the airport, hotels, the city center, and most major tourist destinations. Cape Town Central Station is situated in the heart of the city, trains run basic commuter routes into the city and also stretch out along the scenic Southern line, which stretches as far as Simon’s Town. It is an affordable option to travel around the city. The unique Roggebaai canal offers a relaxed, charming journey via water taxi between the Victoria & Alfred Waterfront and the CTICC.